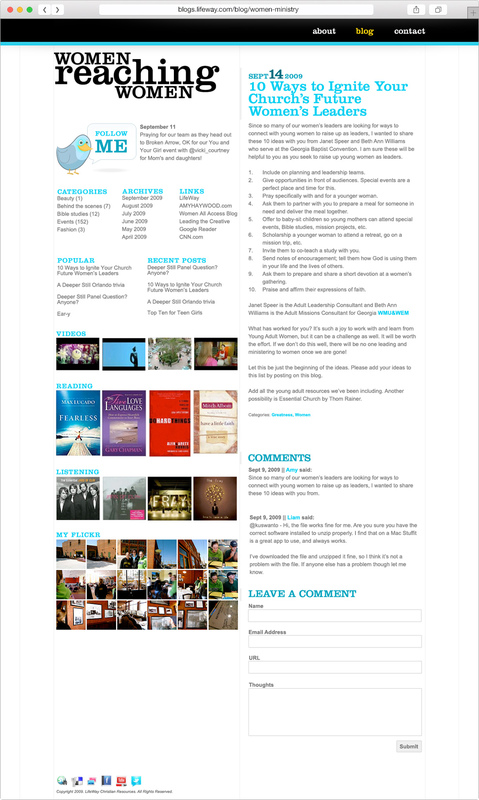 This is a blog that I designed, built, and implemented using Movable Type. The target audience was women in church leadership. We knew we wanted a more traditional blog layout, while still doing something different. So, I went with a two column approach, providing a large sidebar on the left with content on the right.